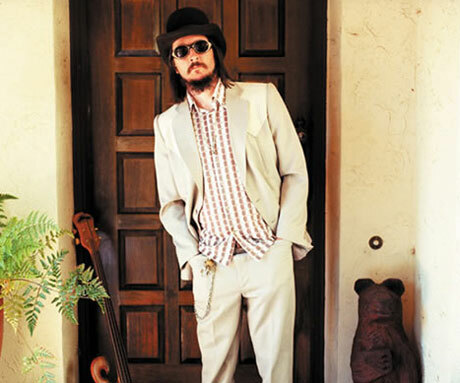 As all bass guitar freaks, musical prodigies and general oddball miscreants already know, Primus/Oysterhead member and solo artist Les Claypool released his latest venture, Of Fungi and Foe, in March of this year through his Prawn Song Records. Claypool has already been out pushing it to the masses, and this is actually his second year of performing in support. (We know it makes little sense that he's been playing a two-month-old album live for two years but don't ask us to do the math - that's just what the press release says and we're wordsmiths, not accountant.) Well, that said, it doesn't look like he's about to stop the live show now that Of Fungi and Foe is officially available, with the bassist/vocalist announcing a new series of Canadian shows scheduled throughout June and July. Those not in the know will be amused to learn that Of Fungi and Foe is actually an expansion of material Claypool recorded for the videogame Mushroom Men, which was released for various Nintendo platforms, and the motion picture Pig Hunt, respectively. Inspired by the projects, Claypool took his work and fleshed it out with the assistance of drummer Paulo Baldi, percussionist Mike Dillon and cellist Sam Bass. Those interested in the limited-edition vinyl run for Of Fungi And Foe, which came out earlier this month on May 12, can order it here.